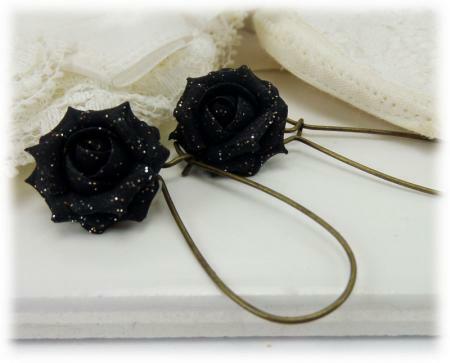 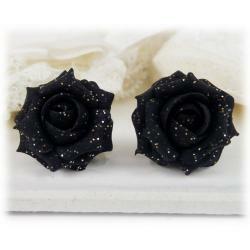 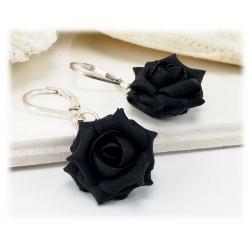 Sparkling handcrafted black rose glitter drop earrings. 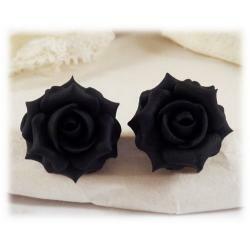 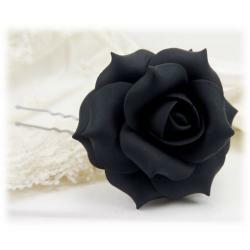 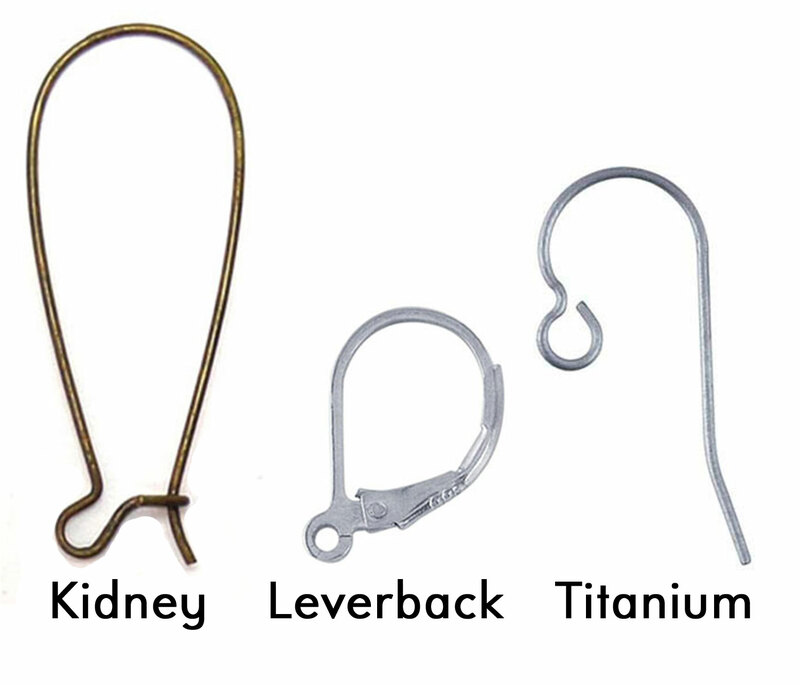 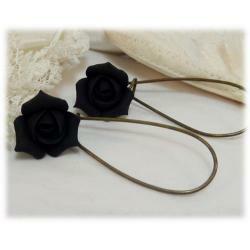 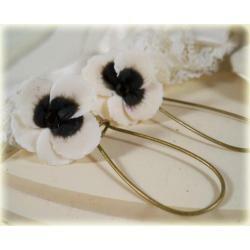 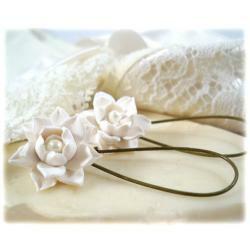 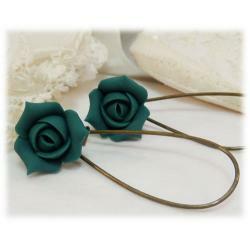 These roses are offered a an assortment of earwire styles to choose from. 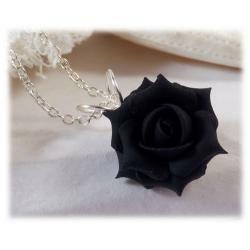 The rose measures a 1.5cm diameter. 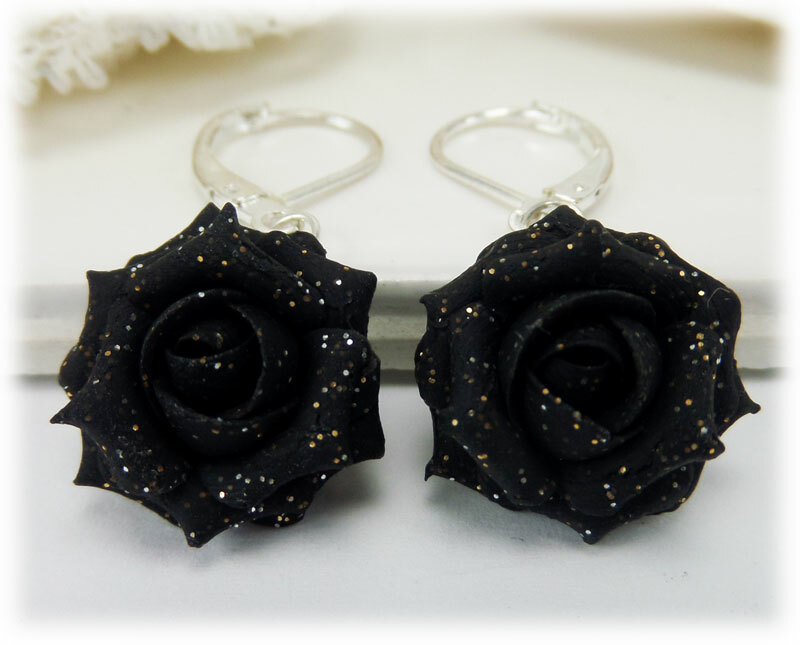 Glitter reflective of silver and gold sparkle.